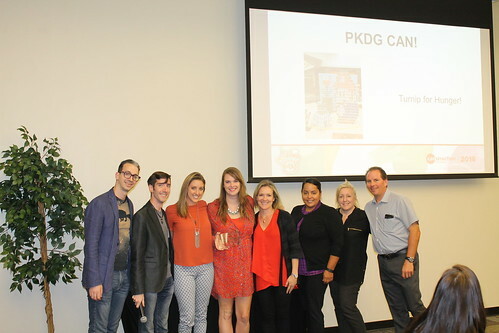 Final results for Canstruction Orlando 2016 are in and we CAN feel the excitement!!!! This Thanksgiving as you enjoyed your turkey (or like me, ordered out for something a little different! ), we hope you’ll remember how much you’ve done this year to help families in Central Florida. With your help this year, Canstruction Orlando has raised (drumroll) over 24,742 food items! Besides the incredible amount of food raised, you’ve raised an equally impressive amount of additional funding for Second Harvest Food Bank… over $4000! When you think that for every dollar raised, the Second Harvest Food Bank can provide $9 worth of food, that means that the Second Harvest Food Bank can provide $36,000 worth of grocery product for Central Florida families!!!!! Thank you for all of your support, and we look forward to what will be in store for next year’s Canstruction Orlando builds. Together we CAN make a difference. And you did.